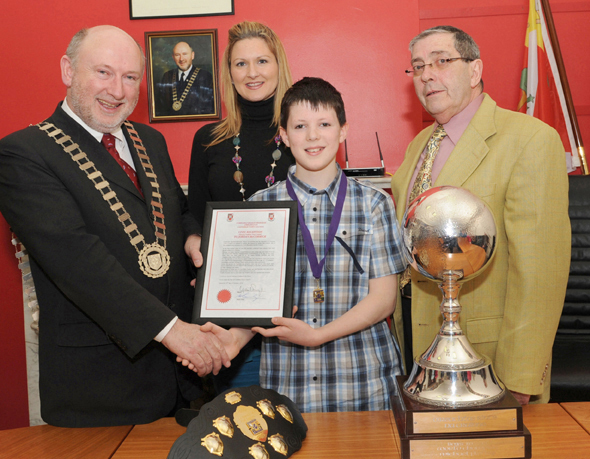 The Mayor of Castlebar Cllr Michael Kilcoyne and Members of Castlebar Town Council Accorded A Civic Reception to Jordan McCormick, Cashel Park Castlebar, winner of the recent World Irish Dancing Championships held in Philadelphia. 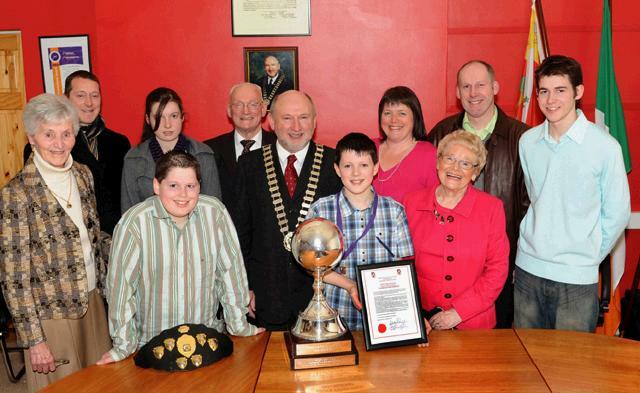 In Photograph , Jordan McCormick, Cllr Michael Kilcoyne Mayor of Castlebar, Nora Coyne Meetings Administrator, Brendan and Sandra McCormick, (Parents), Niall, Shane and Clare McCormick, Bridie and Michael Quinn (Grandparents), Mary Reynolds, Cheryl Nolan, and Paddy Lambe, Lambe Academy Of Irish Dancing. 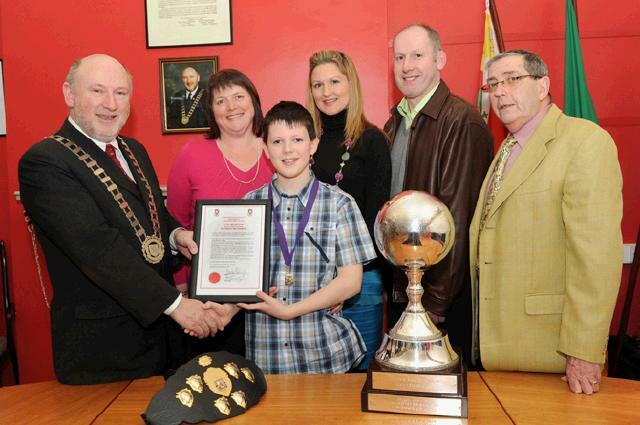 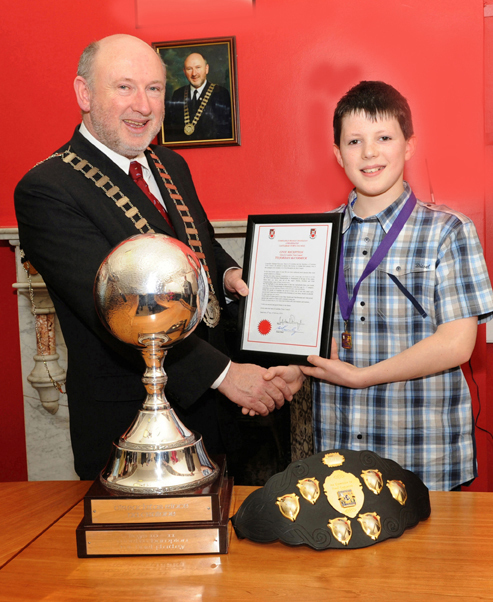 Cllr Michael Kilcoyne Mayor of Castlebar Congratulates Jordan on his achievements. 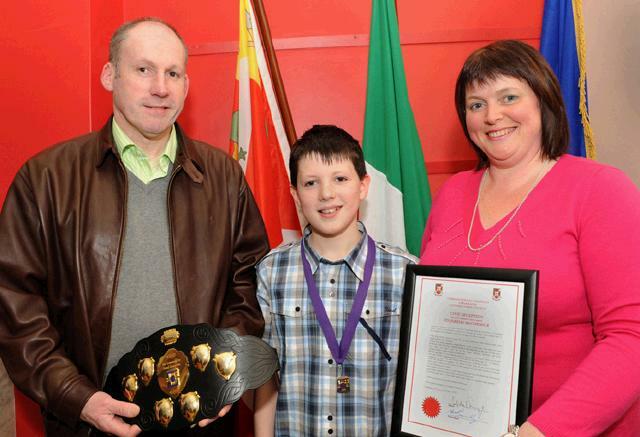 Photo Tom Campbell.